As more companies look to reduce costs and boost efficiency, project managers are experiencing an increase in demand--and compensation--for their skills. However, demand alone won't secure you a spot in this field. The Project Management Professional Certification Training Bundle will help you along the path by preparing you ace a number of certification exams companies look for when hiring project managers, and it's on sale for over 90% off. 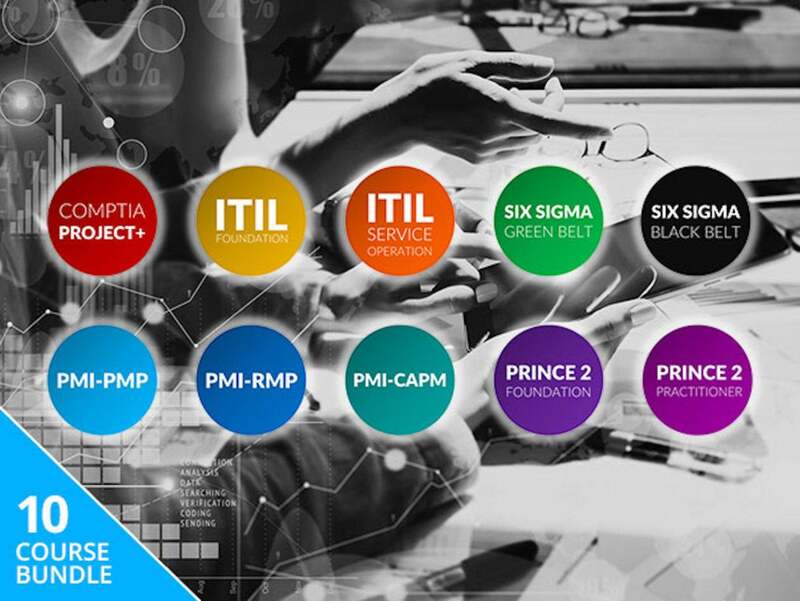 This 10-course collection delivers more than 100 hours of training geared toward helping you pass key project management certification exams, like Project Management Professional (PMP) and CompTIA Project+. Jump in, and you'll tackle core project management concepts, such as developing project charters, identifying risks, and reducing waste. Once you make your way through the entire collection, you'll be prepared to take on several certification exams and impress potential employers with your new credentials. Now, the Project Management Professional Certification Training Bundle normally retails for $2,990, but it's available today for $49, more than 90% off the usual price.